Archangel Raphael is well know to be the Archangel who oversees healing… In this free angel meditation he supports you in connecting with the healing light of the Divine to restore vibrant health to your mind, body, and spirit. This angel message is channeled by Melanie Beckler and set to the channeled meditation music of Thaddeus to help you effortlessly tune into the presence of Archangel Raphael and the healing love and light of the angelic realms… All you have to do is relax and listen! Click the link below to listen or right click to save to your computer. Ctrl click mac… Or press and hold on phone/ tablet. If you'l like to listen on YouTube… Scroll to the bottom of this page. Dearest one, I am Archangel Raphael present with you now, surrounding you with love and here with your team of healing guides and angels. We surround you with divine love and with an orb of angel energy healing light. Tune in to this orb of light appearing around you, with an iridescent glow. It surrounds your body, mind, spirit, emotions; it surrounds your entire being. Tune in to the light around you, focus on this healing light, and now envision it expanding around you to embody the fullness of your greater self. 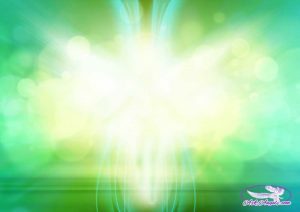 Angel energy healing light expanding outward to surround your home, your country, your earth, and everything. Tune in to the feeling, the sense and knowing of your connection to this energy of oneness flowing throughout everything. Feel and experience your oneness with all. Breathe and relax, and now focus on your heart, as we shine a spotlight of divine healing frequency upon your heart chakra, the portal allowing you to access the divine realms, the energy center allowing you to access infinite healing from the Divine and from the angels. Focus on your heart, open your heart, and enter inward. At this time, imagine an orb of angel energy healing is above your head, glowing like the sun above you. Feel the energy and the warmth from this orb of healing light connected to the Divine and connected to All That Is. Allow yourself to remain focused within and yet aware of the orb of angel energy healing above you. Know that you are surrounded with light, you are safe, and you are protected. At this time, the orb of angel energy healing above you begins to lower down. Imagine it now flowing down, over your head, filling your mind with divine healing light, healing energy for your eyes, your ears, your head, your face, neck and shoulders. As this light passes down through your physical being, feel yourself letting go of tension, density, and of any stress or strain. Allow relaxation to take its place. Allow healing to enter in. As the orb continues to move down, allow healing light into your chest, your arms, your upper abdomen, your upper back, your core, your hips, legs, hands, calves, feet; light, healing and love now flow to your fingers and toes and now the light continues to flow down, grounding earth, which is connected to All That s.
Tune in to your entire being now, becoming aware that you are filled with divine healing light, which is radiating outward from your open heart and filling your entire being. Let the light naturally circulate as you breathe in. Imagine you’re drawing in more healing light energy of the Divine as you inhale and, as you exhale, feel light cycling through your being. Breathe in the light and as you exhale, allow it to flow to any area in need of healing. Feel the warmth of the healing light gather in the specific area that will most serve you. Continue to breathe in healing light, and as you breathe out, feel it cycling through your being, naturally releasing all that no longer serves. As this happens your team of guides and angels swoop in to release any negativity and density into the light. Continue with this visualization that you are filled with healing light and that it is cycling throughout your being, replenishing your every cell, purging your cells of all that no longer serves. Allow the light to work its magic; renewing, refreshing, revitalizing each and every cell. It is reawakening your body’s natural ability to heal itself, reawakening your natural ability to heal yourself and to heal others. This healing is made possible by opening your heart and allowing the divine healing light, which is naturally present in every moment, to flow through, allowing yourself to radiantly shine divine light. Your heart is opening, allowing the healing power of love to cycle through your being, allowing the angels’ energy healing orb of light around you now to heal your mind, your thoughts and your beliefs. The light is bringing your thoughts, emotions, and beliefs into alignment with radiant well-being, bringing healing to your physical body, replenishing and renewing your spirit for the highest and greatest good. And so it is. Open your heart, tune in to the healing orb around you. Radiate, shine, enjoy this healing light for as long as you like, knowing that as you relax and simply become present with this healing energy, with your open heart, healing, rejuvenation, alignment with divine love naturally occurs. Healing for your body, mind, and spirit, a final surge of healing light flows in from your team of angel energy healing guides and angels… Healing. Divine Love. And so it is. To connect with more Healing Love from the Angelic Realm… Click Here! Or Click Here to learn about Angel Energy Healing! Archangel Michael- Attuning Your Personal Atmosphere! So soothing and calming and feeling refreshed after listening. Wonderful meditation. Very uplifting and protecting! Thank you so much, Melanie! This is a miraculous meditation, it really works! Pls arch angel Raphael heal my swollen knee.Bless me with strength energy and freedom to move carefree. Fabulous! I need a miracle. I need a healing. Pls request for my healing from archangel Raphael. Tell me what I must do. Thank you so very much Melanie and the angels. I’ve bin in a lot of pain from surgery this week. I love your healing meditation. God bless you. Than you Melanie for your work. I have enjoyed this Channelled message from Archangel Raphael. Dear Melanie, I have asked Archangel Raphael to bring his healing green light to heal every part of my body so that I may live life to the fullest. I have trouble breathing and would like the Angel to heal me and the cause of the shortness of breath. I don’t know what I have done wrong but nothing seems to be happening. Can you please advise me? Thank you in advance. Thank you so much! All your video (meditations) are so beautiful! Thank you Archangel Raphael & all the beautiful loving Angels that come through <3 I love you all.. Wonderful healing meditation, thank you. Thank you is a small word for all the benefits and healing energy that we are receiving. Your work is so gratefully appreciated from all of us. Please continue to give me strength and guidance.keep cool calm and collected. Melanie,you are inn my heart. Thank you Melanie. Blessings to you and all you touch. wow !! really enjoyed the mediation healing you are blessed !! Very relaxing and sleep inducing, which is so needed! Thank you! I so enjoy your beautiful meditations and thank you for sharing them so freely. I do pass them along and know from feedback that many are also enjoying them. Bless you! Thank for this beautiful healing from Raphael and the angels! I am very grateful for your gift of giving this for free.